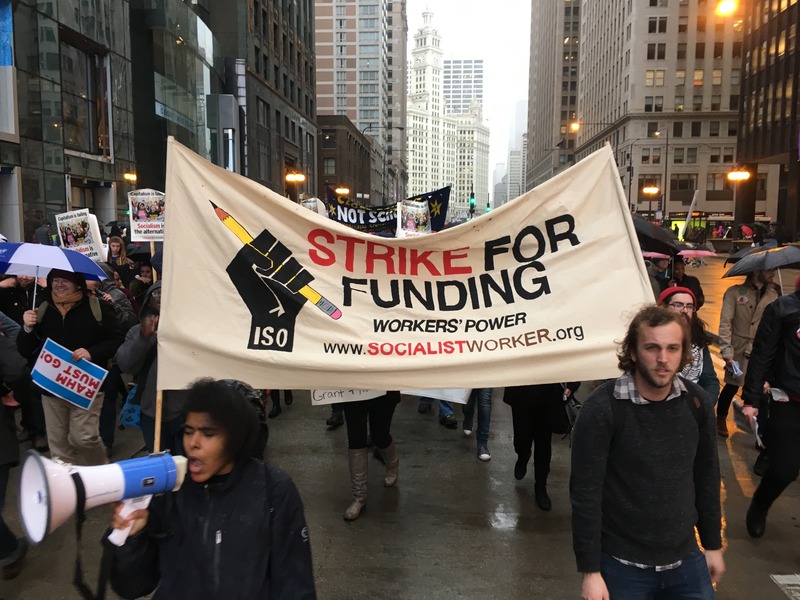 Just over a week ago the Chicago Teachers Union declared a one day strike to protest cuts in school funding. 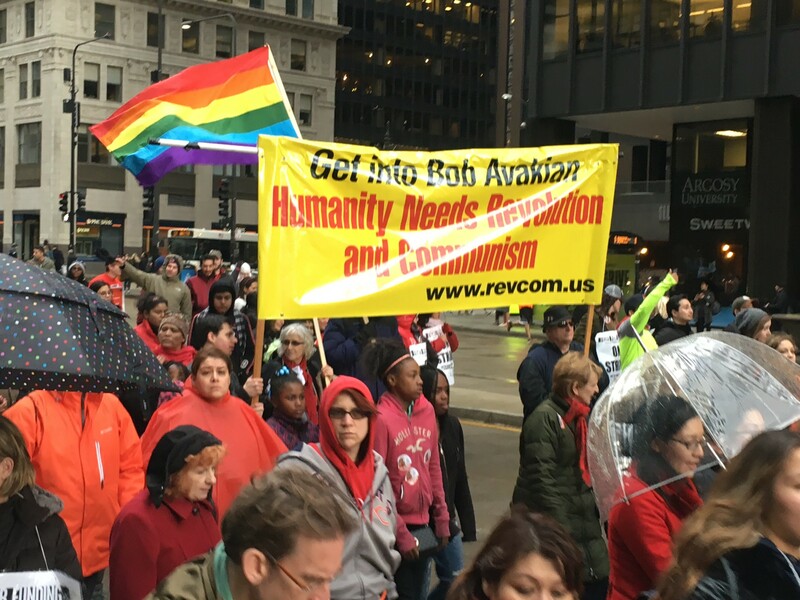 The climax of their “illegal walkout” was a march through downtown Chicago during afternoon rush hour. While every major media outlet was on on hand to cover the protest, they all ignored the giant red elephant in the room. 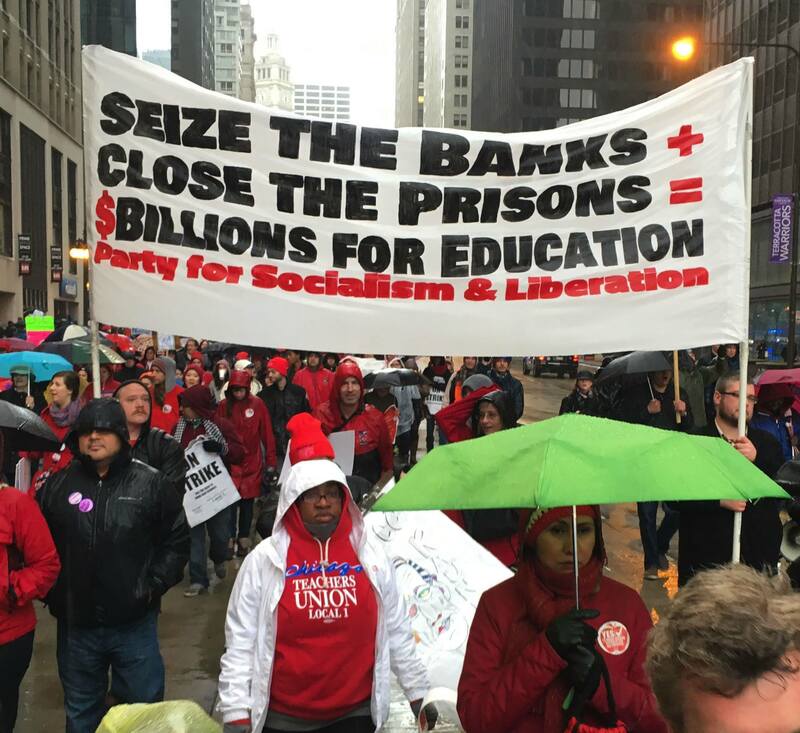 The Chicago Teachers Union chose to march with, and embrace, Marxist revolutionaries openly calling for Socialism and Communism in America. Filmmaker Andrew Marcus was on the ground for Rebel Pundit to document the truth about this radical protest. It’s not as though any of this was hidden. It was all on display for anyone who chose not to ignore it. But ignore it they did! 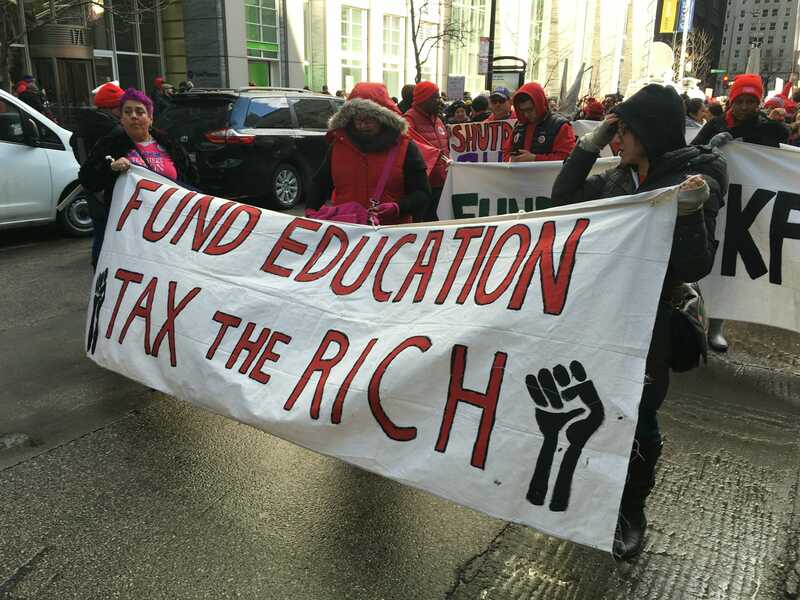 The average salary of a CTU teacher….$71,000.00! BEFORE BENEFITS!